Before capitalism, there was feudalism and kings controlled supply and prices. When democracy began, we needed a monetary system to manage our commerce, currency, lending, and debt. Early economists like Adam Smith helped us learn how this will happen naturally but also taught us how to prevent big business monopolies from becoming as controlling as kings. Capitalism was the term created to describe this system of commerce that existed without feudalistic control. Capitalism freed the American economy so “peasants” and small businesses could determine prices and production. There are two forms of capitalism that have always been debated, one with a central currency with monetary inflation and one without. American founders understood the good in having a central currency; life would be Amish without. Commerce, debt, and currency have existed in some form since agriculture began, so has surplus and scarcity. Some of the goods that our lives depend on take great resources to acquire. Before capitalism countries with kings fared the best because they acquired great resources and could build spectacular cities and scientific/technical progress. We wanted to leave behind the tyranny, but allow people to accumulate wealth in order to construct a better world. A democratic government builds the infrastructure while private citizens advance industry and technology. Too often today people use the words of early capitalists, who were talking badly about the tyranny of kings, to attack the democratic federal government. We cannot forget the importance of having a central system, one which we control. I would only argue that the American government today is controlled by big business and needs reform. A purely capitalist system with no federal government or monetary system would resemble the third world. In some ways it could be ideal… people farming and living off the land with a very small desire or need for industry or technology. Without the central system, there would be no way for an industry to access consumers and no need for innovation. There would also be scarcity, something we forget about in our over-privileged lives. We take for granted how easily we can access resources, and create a surplus for the dry season. There is no doubt that organized countries progress and thrive best. So, in addition to a central currency, we found another way to progress and prevent scarcity… monetary inflation. It prevents a shortage of money, stagnation, and starvation. Monetary inflation means we print a little extra money each year and distribute it to people who can create jobs, food, innovation, or people whose jobs have been displaced by these innovations. In the past, a good king prevented scarcity, and so can a good government. We also progressed by encouraging individuals to invest in the capital, savings, and government, so we can progress our capacity to produce and trade without barriers. Capitalism, the kind with a central monetary system, encourages big money pits for big projects. Without some way to prevent scarcity big projects can’t happen. This is how our country grew up… through a mixture of capital from private investors and democratically delegated investments. Sometimes central systems can be a barrier to progress, like the old feudalistic kings, but we can’t forget that the biggest barrier to commerce, progress, and production is no central federal system. A federal system, controlled by the people, can make sure that our necessities are priced fairly. See, in the free market, the natural price of a scarce resource is as much as the market allows, which is sometimes so high that people can’t afford to invest in other products and industries. Our natural resources left to the free market process will suppress growth, this is why we have regulation on vital resources and utilities. The extra money we print also alleviates the inelasticity of needs, and natural free market scarcity. This new money would ensure each year was better than the next, as long as we use our investments wisely. Now, inflation does tend to swell and can bust, which is more reason to make sure the inflation, or new money each year, goes straight to the middle class, otherwise the people at the top end up just printing themselves a little extra money each year and not translating it into jobs or any middle-class growth. Debt swells when the elite siphon all of the inflation and growth. This is where the need for redistribution comes in; when all the money swells at the top and there is too much scarcity below. The core of GOP economics is to stop monetary inflation and let scarcity return. They believe scarcity, what they call austerity, is the best course… it’s a rather Amish idea that doesn’t compute today. They would accidentally bring us back to feudalism. Since we have had this system of mild inflation for so long, and since the money has swelled at the top, austerity would deflate the markets and leave a few big businesses with all the wealth and power… leaving the kings of capitalism to dictate supply and prices. Tax increases become our only recourse. It’s better to inflate the middle all along, instead of playing with the idea austerity and letting the top swell in hope that it trickles down, then having to resort to extreme redistribution to save lives. The scarcity of jobs is the greatest concern today. When the United States was building democratic and capitalist structures, the Austrians had just started building castles. 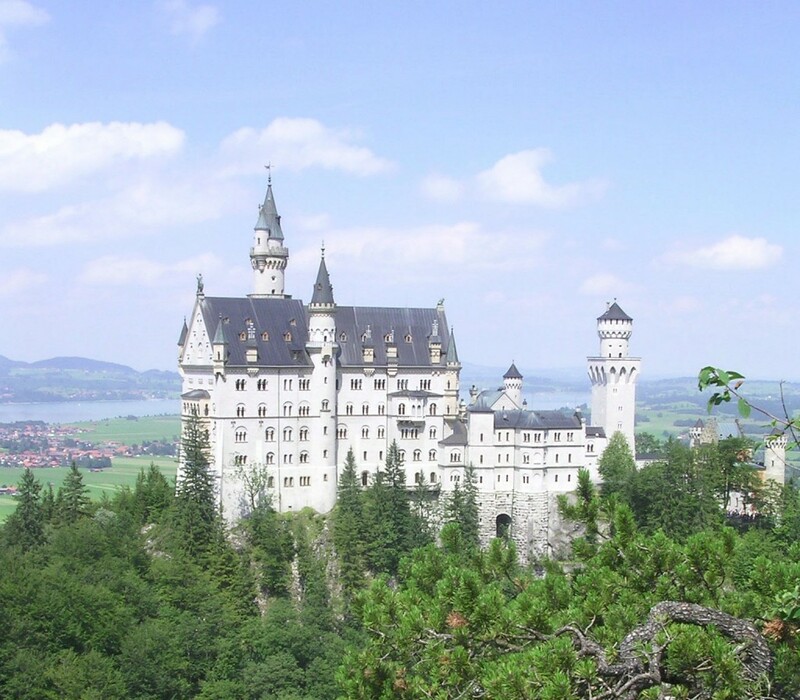 The Austrian economic theories are the ones that the GOP embrace… a theory from the land of kings and castles. Austria and Germany are actually more liberal and progressive with economic policy than the US today… and we follow the advice of a single 1950’s Austrian that even the Austrian majority doesn’t embrace. Sorry for GOP bashing, but their economic policies are messing up our lives. Most people are good at heart, capitalism is just misunderstood. When production of new resources goes up, so do jobs and wages… well, it used to. Statistics have directly proven that production has risen while labor and wages have not. The GOP/Austrian economics relies solely on production as the best indication of a great economy, but in reality, the jobs aren’t keeping up with the statistics on production. This is because we can increase production without increasing human labor or salaries today. Jobs should be the leading indicator a good economy, not production. With my new policy on labor reform production would definitely keep up. The idea is to look at each company’s ratio of profit to labor and create a variable corporate tax that varies based on that ratio. This would mean that companies that don’t meet the labor floor minimum would pay far more in taxes than it would cost to just hire some additional workers to make sure that we, as a nation, maintain full employment. Put an actor or greeter on every isle, if they must. A basic income will become necessary as globalization and automation reduce the need for labor. Scarcity – A short supply of food, money, or some other resource. Feudalism – A way of structuring society around relationships derived from the holding of land in exchange for service or labour. Monetary Inflation – a sustained increase in the money supply of a country or currency. Production – the action of making or manufacturing from components or raw materials, or the process of being so manufactured. Construction, assembly, creation, goods, and services. Sources from oxford dictionary, Wikipedia, and a decade of studying economies. ← Consulting – Let me work for you, or teach you.